As we approach the end of Sunshine Week, the annual celebration of the importance of government transparency, examples of the Trump administration’s attempts to avoid accountability and to prevent government documents from seeing the light of day continue to pile up. Also piling up, according to the Justice Department Office of Information Policy’s annual report on agencies’ Freedom of Information Act processing, are unanswered FOIA requests. During a hearing in the House Oversight and Reform Committee, OIP Director Melanie Ann Pustay said that fiscal year 2018 requests are already up by 90,000, and the backlog remains. In reality, as we outline here, the FOIA backlog is a problem of the government’s own making. 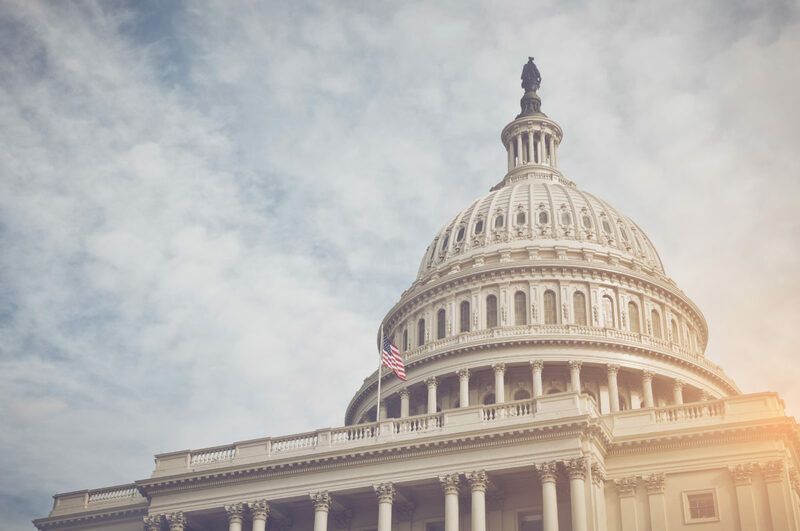 Agency delaying tactics and inadequate resources dedicated to FOIA processing could be improved by congressional action and three key changes to FOIA. Other witnesses at the hearing besides Pustay were FOIA officers from the Environmental Protection Agency and the Department of the Interior. At Interior, a proposed rule would allow the department to refuse to honor certain information requests, making it easier for it to avoid accountability. The need for transparency at Interior is especially important in light of the recent nomination of former oil and gas lobbyist David Bernhardt to head the department. This week, we filed a lawsuit to determine if — and how often — Bernhardt has been communicating with his former clients. We started our week with the Justice Department turning over to us the November 2017 signed directive from former Attorney General Jeff Sessions instructing a federal prosecutor to carry out President Trump’s demand to investigate Hillary Clinton. The document was obtained through FOIA litigation, and the department previously made a sworn declaration that it didn’t exist. Read more here. Commerce Secretary Wilbur Ross also appeared before the House Oversight Committee this week, answering questions about his involvement in the addition of a citizenship question on the 2020 census. American Oversight obtained Ross’ 2017 calendars, which show that he had numerous meetings related to the census, and in October we joined the NAACP Legal Defense Fund in filing a lawsuit to uncover records related to the Justice Department’s role in the decision. During the debate about the citizenship question, Kevin Quinley, a former research director at White House Counselor Kellyanne Conway’s polling firm, appears to have been transferred from a position as the Commerce Department’s deputy White House liaison to the role of senior advisor at the Census Bureau. We’re asking Commerce and the Census Bureau for his communications with the White House and Conway, as well as with former Kansas Secretary of State Kris Kobach and former White House strategist Steve Bannon, who had urged Ross to add the question. Remember last month’s news that top appointees in the Trump administration had, over the objection of ethics and national security officials, pushed for the sale of U.S. nuclear technology to Saudi Arabia? American Oversight is investigating, and already has a number of documents revealing meetings key players in those efforts had with cabinet officials, including Ross, Energy Secretary Rick Perry, and Treasury Secretary Steve Mnuchin. House Foreign Affairs Committee Chair Eliot Engel and Senate Foreign Relations Committee Chair Bob Menendez wrote to Secretary of State Mike Pompeo to demand the release of documents related to alleged political retaliation against career employees. Their list of documents includes the records we requested in our lawsuit with the State Department, in which we are seeking evidence of reported efforts to purge and retaliate against employees perceived to be disloyal to the president. In a court proceeding earlier this month, the department said that it has potentially found more than 500 records related to such communications. Our lawsuit is part of our Parallel Investigations Initiative. During former Trump attorney Michael Cohen’s public hearing two weeks ago, Cohen called the president a racist, prompting Rep. Mark Meadows to bring in HUD official Lynne Patton as evidence refuting the charge. Meadows claimed that Patton — who reportedly is in talks to be featured in a reality show about black Republicans — came “in her personal capacity,” and not on official time. We’ve asked HUD for records of any leave or expense requests submitted by Patton, as well as her communications with Meadows’ office or with the White House about the appearance. Ginni Thomas, the conservative activist and wife of Supreme Court Justice Clarence Thomas, has made news over the past few months for her controversial Facebook posts and for organizing a meeting between President Trump and a group of far-right activists. Last year, Thomas shared posts describing California as a war zone, claiming Democrats had committed voter fraud in the midterms, and calling the Parkland school shooting survivors “dangerous to the survival of our nation.” During the January 2019 White House meeting, Thomas reportedly discussed efforts to get certain people hired by the administration. American Oversight has filed FOIA requests across the administration to find out more about what sort of influence she has on official policy and personnel choices. On Thursday, the Senate voted to block Trump’s border emergency declaration, with 12 Republicans joining Democrats — a margin just short of enough votes to override the president’s promised veto. Earlier this week, we submitted a FOIA request along with the American Civil Liberties Union of Massachusetts to the Department of Homeland Security for the border security plan it submitted to Congress on December 21, 2018. We are still investigating the administration’s and Homeland Security Secretary Kirstjen Nielsen’s statements about the threat of terrorism at the southern border, including the department’s questionable claim that it has no records of communications about a fact sheet Nielsen tweeted about in January. Last week, NBC published alarming documents that reveal that U.S. Customs and Border Protection created a database of journalists, activists and attorneys connected to the so-called migrant caravan. Federal agents used the list to place alerts on some of those individuals’ passports and to compile highly personal information. Screenshots of the database show photos alongside information like date of birth, whether passport alerts have been placed, and even in some cases the name of their mother. The photos of those who had been arrested or interviewed, or had had their visa revoked, had “X”s over the faces. We want to know more about how this database was created and maintained.